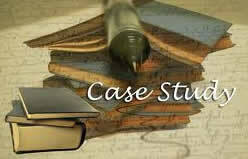 Case Study Analysis Guidelines research projects identify the Central Problems and Questions for a case study analysis. Case Study Analysis due and no idea how to lay it out? Paper Masters can teach you exactly how to write a case study analysis by following the simple guidelines on this page. You can also have Paper Masters custom write your case study analysis for any type of Business or MBA case study you are assigned. What is the problem, question, or issue? More than one problem or question may exist; if so, try to identify the central problem. Define the problem/question as clearly as you can. If there is more than one problem/question, indicate which are primary and which are secondary. Differentiate symptoms of problems from the problem itself. As you prepare to address the elements of analysis below, think about how the case's characters demonstrated both good and poor thinking habits, and how their thinking influenced the situation described in the case. What is the Purpose of the Case? What information is relevant to the problem or issue? What additional information needs to be gathered, either through the literature or on site in order to generate solutions? What are the key concepts or ideas involved in the case? What are the significant theories that may be relevant when considering a solution or a strategy to address the problem? What assumptions are being made by those involved in the case? Identify main assumptions about the problems, issues or questions being made by characters in the case. What are your own assumptions in analyzing the case? Multiple Perspectives: Identify different ways the issues may be viewed by those involved or affected by the problem, issue or question, and explain the potential impact of these perspectives on the case. What is your point of view and how does it affect your analysis? What inferences and conclusions can be drawn from evidence? Generate alternative courses of action. Justify the alternatives by discussing the advantages and disadvantages of each alternative, including the implications or consequences of each alternative should it be implemented. Which alternative course of action would you choose? Why? Reflection: Thinking about the analysis of this case, does a similar issue or problem exist in your own setting? How would the analysis of this case relate to an issue or problem in your own setting? ABB Transformers - ABB Transformers research paper looks at that matrix that was created for its international organizations and where it places control. Apple iPhone - This is a case study on the Apple iPhone. Included will be the marketing plan and its success. Order a research paper on Apple from Paper Masters. Business Ethics Case - Includes a brief explanation on how to write a current business ethics case. Can Siebel Stop Its Slide - Can Siebel Stop Its Slide research paper examines an example of an order placed for a case study using specific articles. CEO Mad, Mad World - CEO’s Mad, Mad World research papers delve into a sample of an order placed on analyzing the controversy of CEO compensations. Clearwater Seafoods Income Fund - Examines a brief background discussion of Clearwater covering its product, value proposition, and factors of the analysis of the case. Corporate Governance Lessons of Enron - The corporate governance lessons of Enron writes that one in four auditors believe that Enron was a business failure. Dell Corporation - Provides an analysis on the Dell corporation. Emory Eye Center - Emory Eye Center research papers discuss a sample of an order placed for a quantitative descriptive research study. Facebook Case Study - Research papers on a Facebook Case Study look into the successful business model implemented by one of the first and most successful applications of social media. Facebook Story - Research papers on the Facebook story look into the story of how, on February 4, 2004, Harvard sophomore Mark Zuckerberg launched the site Facebook, originally called “thefacebook.com,” that is now being used by over 400 Million people. Financial Ratio Analysis - A financial ratio analysis research paper discusses the quantitative examination of information found within a company’s financial statements. Green Company - Green Company research papers look at an example of how to order a business research paper with a specific case study to evaluate. KFC Case Study - KFC Case Study research papers explores Loy Weston and his experience with working with KFC and what happened when a company bought it out. Khafji Joint Operations - Discusses the effect of change in management on existing joint operations. Microsoft Antitrust Case - Research papers on the Microsoft Antitrust Case discuss the claims made by the United States Federal Trade Commission that Microsoft held a monopoly on the Personal Computer industry and that Microsoft was abusing that monopoly. Nike Case Study - Nike Case Study research papers delve into a business management paper on Nike and the company’s business practices. Nucor - Nucor research papers look at one of the largest steel companies that promotes corporate culture of innovation. Oprah’s OWN Network - After more than 25 years on various cable and national networks, Oprah Winfrey had made the move to her own network called the Oprah Winfrey Network. Southwest Airlines - Case Study of Southwest Airlines research papers delve into how to place on order for a case study. Starbucks - Starbucks is one of the most successful businesses in the Specialty Eateries industry. Tenet Healthcare - Analyze the Financial Condition of Tenet Healthcare research papers discuss how to order a business project with supplying details needed to complete the project. Wal-Mart Industrial Relations - Industrial Relations research papers look at a specific company Wal-Mart and the labor unions associated with the company, there are specific requirements for each chapter of this graduate project. Whole Foods Case Study - Whole Foods Case Study research papers analyze one of the largest grocery chains in the United States that specializes in organic foods. Paper Masters writes custom research papers on Case Study Analysis Guidelines and identifies the Central Problems and Questions for a case study analysis.